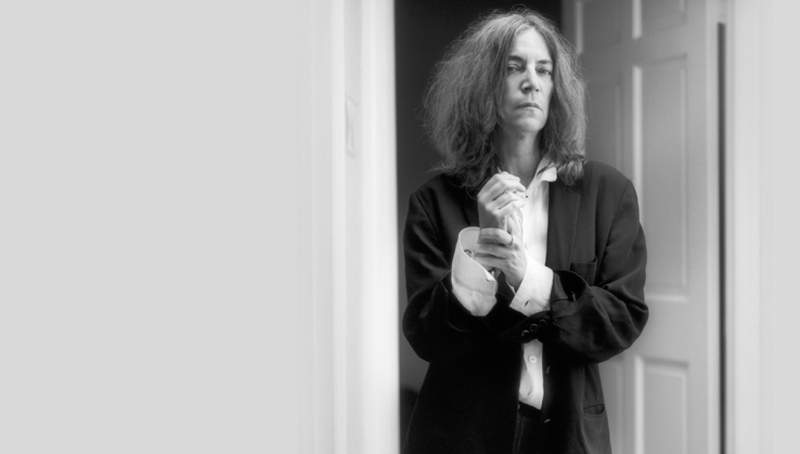 In the fall of 1975, Patti Smith gathered her band in Electric Lady Studios in New York City to record her debut album, Horses. Released on November 10 of that year by Arista Records, it has come to be regarded as a seminal and landmark recording that continues to have resonance and relevance for succeeding generations of musicians and artists. Now, forty years later, Smith will honor the longevity and lasting influence of the album with a series of special shows centered around the album. She will be accompanied by two members of the original group, Lenny Kaye and Jay Dee Daugherty, along with bassist / keyboardist Tony Shanahan, who has been a part of Her Band for twenty years. Horses was the beginning of a long musical career that resonates even greater today. The album has achieved many notable recognitions over the years, included on many all-time best album lists, and by the Library of Congress in the National Recording Registry. It has been followed by another nine albums of original material, books of poetry and a best-selling memoir, Just Kids; world tours and personal appearances, as well as induction into the Rock and Roll Hall of Fame.